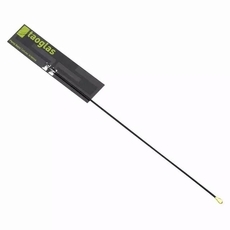 The high efficiency PC104 Penta-band PCB antenna�s slim-line design allows for convenient installation inside the customer device. Omni-directional gain across all bands ensures constant reception and transmission. With its unique dipole design, the PC104 has exceptional industry performance characteristics considering its very low profile at 2.4mm and has a compact size 80mm*20mm. It is suitable for clients that appreciate highest performance with lower price.